Featuring emerging Memphis artists Baleigh Kuhar, Tawny Skye and including well-known Memphian Carol Sams. The collective exhibition showcases 3 female artists sharing their stories through a variety of mediums and thoughts. 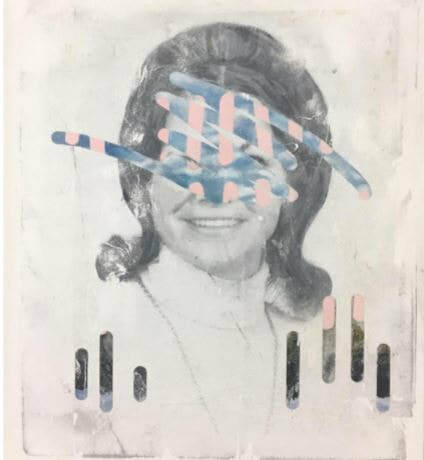 Cutler Crane Gallery is pleased to announce their next exhibition, “PAST, PRESENT AND PINK”, featuring emerging Memphis artists Baleigh Kuhar, Tawny Skye and including well-known Memphian Carol Sams. The collective exhibition showcases 3 female artists sharing their stories through a variety of mediums and thoughts. Presale of works ongoing. Exhibition continues until December 15th. ​MICHELE GRAVEL - 2ND PRIZE "MOZ 2 "
Benefiting people and their families living with Alzheimers Disease. The Awards Ceremony will take place Thursday September 17, 2015 at Avenue Art Gallery in Montreal. We would like to thank all the artists who submitted their work and for sharing their love of the creative process with us. The Canadian " Brush Off" Painting Competition was founded to showcase the wonderful artists our country has to offer while highlighting the significance of artistic based projects and the impact they have on people and their caregivers living with Alzheimer's Disease. Ticket price goes to Art Based Projects as well 25% of Art Sales. This year we have invited some of Montreal's top florist to put their artist talent to work and create arrangements inspired by the art pieces. Marina Cutler will guide your ART Walk & Wine as you discover some of the city's finest sculptures and special installations. Locations are often kept secret until the actual walk as many installations or viewings may be in private offices. The tour will most often begin at Avenue Art Gallery 731 de la Commune West and always ends with a glass of wine and opportunity to discuss what was viewed and what you enjoyed most. There is limited space to 20 people so please purchase tickets as early as possible to be certain your place is reserved. 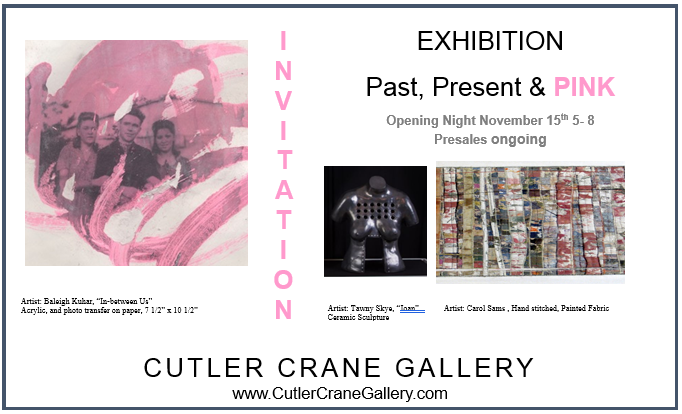 Join us as we celebrate the OPENING EXHIBITION and PRIZE GIVING OCTOBER 16TH 6:30 to 9 PM. 10 Artists will showcase 1 to 3 paintings each which will be on display at Avenue Art Gallery from October 16th through to November 14th as part of The 4th Annual Canadian “BRUSH OFF” painting competition and Alzheimer's Fundraiser. Works sold will raise funds to help Art Based Projects for people living with Alzheimer's. Guests will participate in choosing their favorite for The People's Choice Award. This year we are partnering with YES Montreal during the evening to showcase a collection of Artworks that will be auction off at their Annual Event, TUNE IN TO YES October 30th at The Olympia Theater. Tickets to this event will be available at The Brushoff. You are invited to join us..
Célébrer les nuits d'été à Montréal avec notre sangria maison & nos délices culinaires. Celebrate summer nights in Montreal with our house sangria & culinary treats. The 4th Annual CANADIAN " BRUSH OFF" *Juried Painting Competition. Great news...The 4th Annual CANADIAN "BRUSH OFF" submission deadline has been extended due to a computer glitch. Be a part of a very exciting competition and represent your province! Sign up today! Deadline extended to SEPTEMBER 15TH. Our wine and food paired events begin with a private, brief introduction to our latest emerging visual artist, and musical artist. Tastings follow with a custom menu based on dishes prepared using only the freshest, in-season local ingredients. Each pairing will be expertly matched with that evenings highlighted wines and personally introduced by our chef. Avenue Art Gallery, 731 de la Commune West, corner Queen. Jump Start your "Creative Career" or move it to the next level. Receive the tools and inside information that will allow you to focus and bring your career to the next stage of growth and closer to where you want to be. Avenue Art will be hosting new works by artist Janet London in "Gallery MC2". Join us for a unique trans-border collaboration & exhibition by sculptors jEFF WATSON (GUV) AND DON DOUGAN. Join us for the 3rd Annual "BRUSH OFF" Painting Competition and Fundraiser Cocktail. The works of 12 Artists will be on display for the entire month of September as part of THE BRUSH OFF painting competition and awareness of World Alzheimer's Month. All works sold will raise funds to help Art Based Projects for people living with Alzheimer's Disease. Marina Cutler - Gallery Owner with Left to right. CJAD 800's Morning Man Andrew Carter who for the 3rd year was a judge. Guest & supporter Domenico Chierello owner of The Rocket Sport Dryer. Radio and Tv Personality Mark Shalhoub who was the evenings MC. Miranda Diperno singing her single "HOME"
LIMITED TIME AND SPACE: JULY - BOOK NOW! Jumpstart your art career OR move it to the next level. Receive the tools and inside information that will allow you to focus and bring your art to the next stage of growth and closer to where you want to be. THE 3RD CANADIAN " BRUSH OFF" JURIED PAINTING COMPETITION. 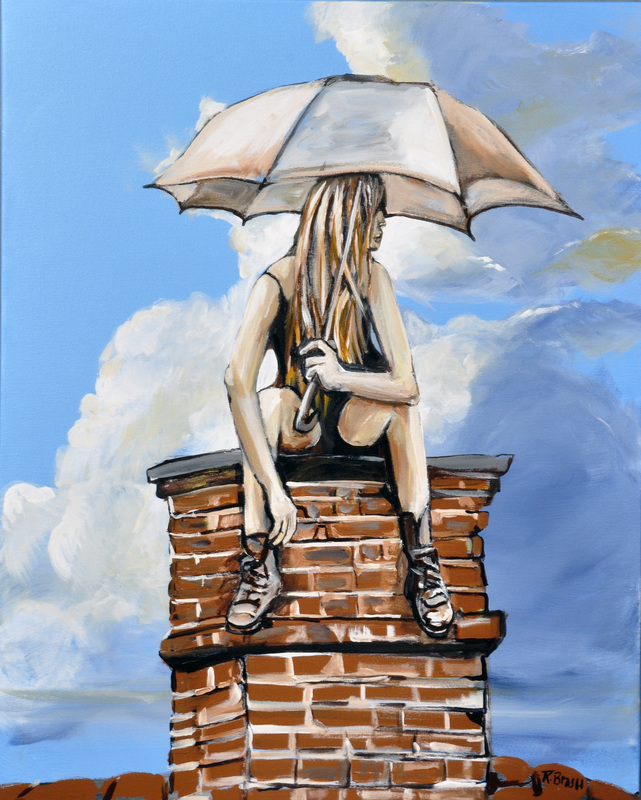 Join AVENUE ART as we host the third Annual CANADIAN "BRUSH OFF" JURIED PAINTING COMPETITION. Marina Cutler and her Team at Avenue Art gallery congratulate LORRAINE KLAASEN on her Juno Awards nomination for WORLD MUSIC ALBUM OF THE YEAR. We are so proud and very thankful for all the wonderful collaborations and projects that Lorraine has shared with us over the years. The Awards which will take place in Regina, Saskatchewan, on Sunday, April 21st, 2013, 8pm, at the Brandt Center, and will be broadcast on CTV. Pictured here with her mother Thandie Klaasen who was receiving a special award from the City of Montreal. Both amazing artists. Join us for our annual spring exhibition and bring home the perfect Mother's Day gift. Artists include Amy Dryer, Anthony Hobbs, Linda Rutenberg, Denys Arel and welcoming Mary McLorn Valle. Join us for a private evening of shopping with SKmtl's creators, Samantha Cutler and Kira Ludmer Kott. Samantha and Kira will be unveiling their latest designers and new trendy jewelry fashions to the backdrop of new up and coming vocal artist MIRANDA DIPERNO. TRAVEL + ESCAPE CHANNEL'S "OPERATION UNPLUGGED"
Themed art exhibit to raise awareness about human trafficking. The evenings MC: Mark Shalhoub of CTV Montreal. A Preview event for our HOCKEY OUR LOVE AFFAIR #2 ART EXHIBITION. Information to follow soon. Call for details and to book tickets. 1ST PRIZE- GORDON PYM "Suddon Storm"
2ND PRIZE- AURORA ASUNCION "Family Trapper"
PEOPLES CHOICE- ANNE GAUTHIER "Virtual Delirium"
Avenue Art would like to thank all our participants and supporters of the 2nd Annual BRUSH OFF Competition (2011). It was a wonderful evening with a lively and excited crowd that was MC’d by radio and sports personality, Mark Shalhoub. We could not have put together such a high quality competition and exhibition without the participation of artists from coast to coast and the help of our esteemed jury... So join me in a round of applause for the team of judges, Dorota Kozinska, writer and English editor of Vie des Arts Magazine, Andrew Carter of CJAD 800, Nicole Jones; Host of CTV City Lights, and Aurelian Guillory, Color expert and Designer. On behalf of Marina Cutler and Avenue Art, we thank everyone for your involvement and look forward to you being onboard as sponsors, participants or guests next year as we work toward building a stronger community awareness of Canadian visual arts. This is a Canada wide competition that has been created to bring attention to the unique and talented painters we have from coast to coast. Winners of will be announced live. UNCORKED FOR A CAUSE THURSDAY JUNE 2ND VIVA ITALY! Spend the evening at Avenue Art Gallery in association with Astral media's CJAD 800 to benefit The Montreal Children’s Hospital. Thursday June 2nd will be the next in a series UNCORKED FOR A CAUSE wine tasting experiences. Limited Space! Tickets are $110 each. SUNDAY, APRIL 10TH - JOIN US! PLAYOFF FEVER HITS MONTREAL COMEDIANS!! Sunday, April 10, 2011, The Montreal Comedy Playoffs debut. HOSTED BY: “Critically acclaimed” comedian Franco Taddeo, who will get the audience stoked for the competition and perform a set while the final results are tabulated. WHEN: Sunday, April 10, 2011 at 7:00 p.m. The Gazette's BILL BROWNSTEIN, CJAD 800 Morning Man ANDREW CARTER, and VERONICA DELFINO of WatchMojo. A portion of the proceeds will benefit Astral Media's Caring for Kids Radiothon supporting the Montreal Children's Hospital Foundation. The puck drops @ 7:00 p.m. at AvenueArt/Studio10King in Old Montreal. The time has come to introduce a homegrown comedy competition to the Montreal scene. We're putting the spotlight on 10 talented local comedians in front of a panel of 3 judges. These comedians have at least 4 years of stage experience and will be judged based on pre-defined categories such as material, creativity, stage presence, audience reaction and overall style. "We wish to sincerely thank everyone who has been so supportive and for the tremendous sharing of personal stories and well wishes. The overwhelming request from people who wanted to do something in May Cutler’s name has led us to create the MAY CUTLER ARTS FUND. This Fund has been created in memory of MAY EBBITT CUTLER, the MAY CUTLER ARTS FUND is committed to fulfilling one of May's recent dreams of creating an International Sculpture Garden in Montreal along with other art initiatives. May Cutler was a fearless Quebec book publisher who championed children’s literature in Canada with such classics as Roch Carrier’s The Hockey Sweater and William Kurelek’s A Prairie Boy’s Winter. She was the first woman elected mayor of the Montreal suburb of Westmount. Montreal photographer who has a BFA in film and music and a MFA in Photography from Concordia University and has taught photography and worked as a freelance photographer for thirty years. She has led workshops in different parts of the world and has organized photographic trips to Mexico and the United States. In addition to her photographs, Linda has produced many books. Her award-winning “Mont Royal-A World Apart” reveals one year’s exploration of the Frederic Law Olmstead Park that is in the heart of Montreal, Quebec. She has also produced eleven books in a series with ECW Press on North American cities. Secret Montreal, Secret Toronto, Secret Ottawa, Secret New York, Secret Chicago, Secret San Francisco, Secret Boston, Secret Providence & Newport, Secret Vancouver, Secret Portland, and Secret San Diego. Her latest books, The Garden at Night (2007), After Midnight (2008)and The English Garden at Night (2009) all take us on a journey through the most beautiful botanical gardens at night. There are only a few dates and times available. Two new paintings will be in the gallery this week. Get first choice by calling and reserving one or both. Robert Roy's paintings have a great following and you too can own of of these two classic hockey/skating paintings in time for the Holidays. SKmtl Jewelry Launch a success! Thanks to all! Avenue Art is pleased to include SKmtl jewelry line as they launched their jewelry boutique within Avenue Art on Wednesday December 1st. The evening was a great success with people lined up to get the first choice of the new collection. We welcome everyone to visit the gallery or view online and have your SKmtl Pink jewelry box under your christmas tree. Join Samantha Cutler and Kira Ludmer-Kott as they launch their jewelry collection, SKmtl. The launch cocktail party & fundraiser will take place December 1st 7 to 9pm showcasing their 2010 Holiday Collection. Subject- Invite to SKmtl launch. At Avenue Art, we make your gift purchase easy with private shopping, giftwrapping and delivery included. Avenue Art has an exclusive selection of small format art, jewellery, objects of art, cards and certificates. You can also purchase tickets to the next Uncorked For A Cause wine tasting event...a unique gift for the wine/art lover in your life. call or email us for some gift ideas and let us make your holiday shopping easy. Please join us for the Solo Exhibition Trans Canada Drive by Canadian artist Patricia Morris. Patricia will be present during the Vernissage on Thursday. A photographic concept which over the years has given birth to a collection of images dedicated to Asian philosophies, Middle Eastern civilizations and to the hardship and beauty of the Africain soil.A bank of photographs inspired by ¨ TEMBA THE TIBETAN ¨ has become the trademark of DIRXIONS. Marcel Mueller, professional photographer, guide, speaker and world traveler, creates a visual catalog offering a glimpse of what our world has to offer and a peek at its people. UN-CORKED FOR A CAUSE wine tasting experiences. There are only 80 tickets available! Tickets are $110 each. You can purchase your ticket by calling 514-867-3745 or by emailing info@AvenueArt.ca to reserve. Join us and CJAD'S morning man ANDREW CARTER as we host the first in a series of inspiring wine/art and musical evenings. The evening will begin sipping bubbly while mingling, viewing art and enjoying live music. Next, our Sommelier will lead the wine tasting and culinary pairing experience with the wines of Francis Ford Coppola Winery. With Featured musical Artist KRISTEN BUSSANDRI. Avenue Art gallery is the perfect setting for your wedding or Christmas celebration. This summer do something special for yourself..Book a one on one with art consultant Marina Cutler. Limited times so book now! Avenue Art welcomes new artist ..
Limited time and space so call or email as soon as possible to be sure you reserve a time. Please contact info@AvenueArt.ca or call 514-489-4888 for schedule of availability. Find out what can give you an artistic edge. Congratulations to all participants of The Brush Off Competition! It was a great success and fun was had by all. Please join us to kick off The Annual Spring Fling Exhibition at Avenue Art Gallery. Artists will include IVY HOWARD, Gillian Johnston, Denys Arel,Bryna Cohen and introduce Jennifer Amenta and Lea Stillinger's latest series. 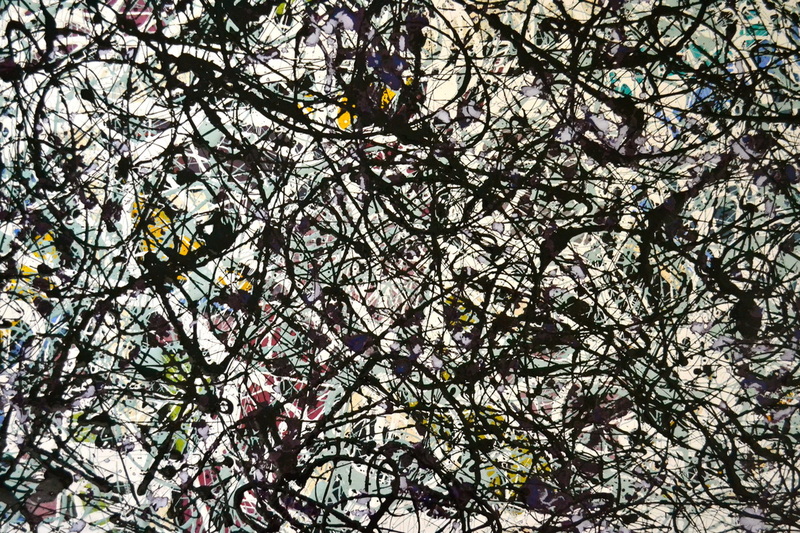 Scott Steele is an artist who is quickly making his name known in the North American art world. He has the ability to create works that are attracting the attention of designers and collectors and the average person alike. With a keen design sense and a natural talent for painting he combines the perfect balance of what people are calling "the mood" they have been looking for! Steele is not afraid of creating a non traditional balance in what would normally be a traditional/ conservative landscape. 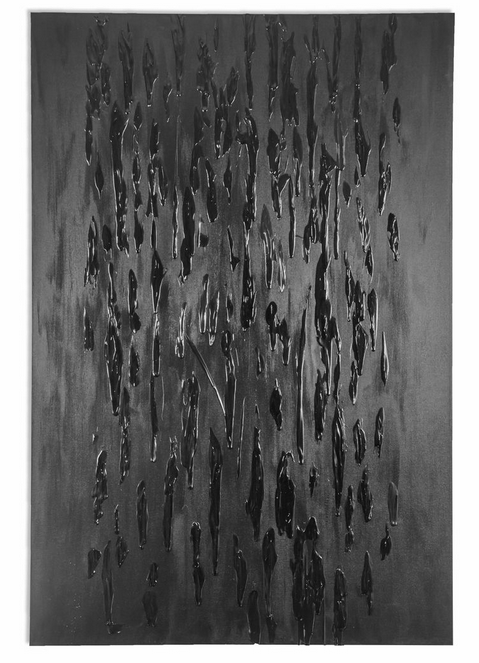 His works are created on panels and when paired as triptychs and multi paneled framed works are anything but a standard landscape. 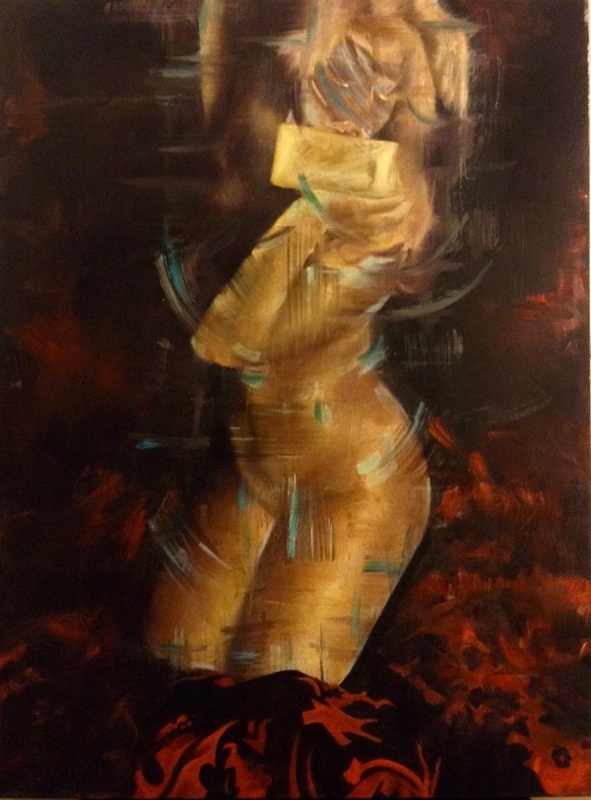 We welcome Scott Steele to Avenue Art and look forward to introducing you our clients to his work. Call to set up an appointment to view his work or have an in home or office consultation. PLEASE NOTE THE NEW DEADLINES AND OPENING NIGHT EXHIBITION! ENTER NOW!! !DEADLINE FOR SUBMISSIONS MARCH 26th. A portion of proceeds will go to support the “ART LINKS” Project, a Champagne Memories Gala initiative for people living with Alzheimer’s disease. EXHIBITION &OPENING NIGHT: May 6th- Exhibition continues until May 21st. 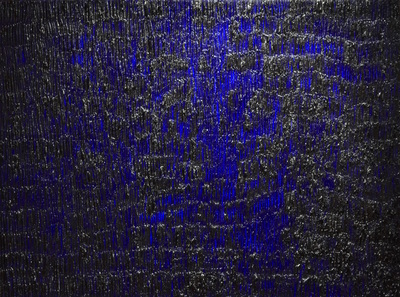 Avenue Art welcomes NEW ARTISTS and new works by established gallery artists. Avenue Art is pleased to welcome several new artists to its family. We invite you to visit the gallery and view some new arrivals and to return frequently as we receive more each week. An Juried Glass Art Competition featuring Blown Glass. Make your New Year's resoulution to JUMP START your art career! Book one of Canada's top Artist's Consultant, Marina Cutler for a private one on one consultation on your artwork and direction of your art career. Cutler offers PRIVATE CONSULTATIONS every January and the bookings are open as of today, Saturday December 19th. This year Gift Certificates are available for Private Consultations and would make a great and unique gift for the artist in your life. To book an appointment, order a gift certificate or for more information on the cost of a consultation. email info@AvenueArt.ca or call 514-489-4888. 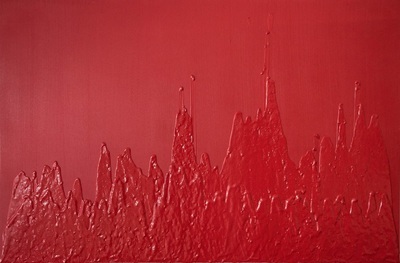 Join us for the anticipated return of Ronda Diamond's new collection of works in an exhibition scheduled for 2010. Also, return in January to view more details on the Brush Off Competition and Blown Away Juried Exhibition. Join us at 11am Saturday the 12th where author Roch Carrier will read the Hockey Sweater to kids of all ages while surrounded by the original artwork from The Sweater. After the reading you can watch the animated film which will be playing as well. Bring your book to be signed or buy one at the gallery. There will be Festive drinks and treats. Give Original Canadian Art for the holidays or an Avenue Art Gift Certificate. Avenue Art gallery is please to be hosting this special exhibition and Cocktail evening which includes the following celebrated Canadian Artists who are known for their hockey images. and the Montreal Canadiens’ Centennial Year. Read The Montreal Gazette / National Post story on this event in the link section of this site. Hockey isn't just a game of blood and guts. It is a picturesque game filled with outside rinks surrounded by shade trees and locker rooms stuffed with jerseys and pristine skates. You can celebrate the game in its purest form by hanging this NHL® team After Shiny color framed photo. The numbered print features a hand colored jersey and a black-and-white background. CORPORATE special orders with company logo or name available. New Photography Exhibition at Avenue Art! Avenue Art presents a collection of photographs taken in and around Montreal! From July 16th to August 21st, Avenue Art will be showing a collection of photographs taken by both emerging and established photographers. All of the photographs are taken in and around our great city and showcase its landscapes, architecture as well as the simple charms that are unique to Montreal. 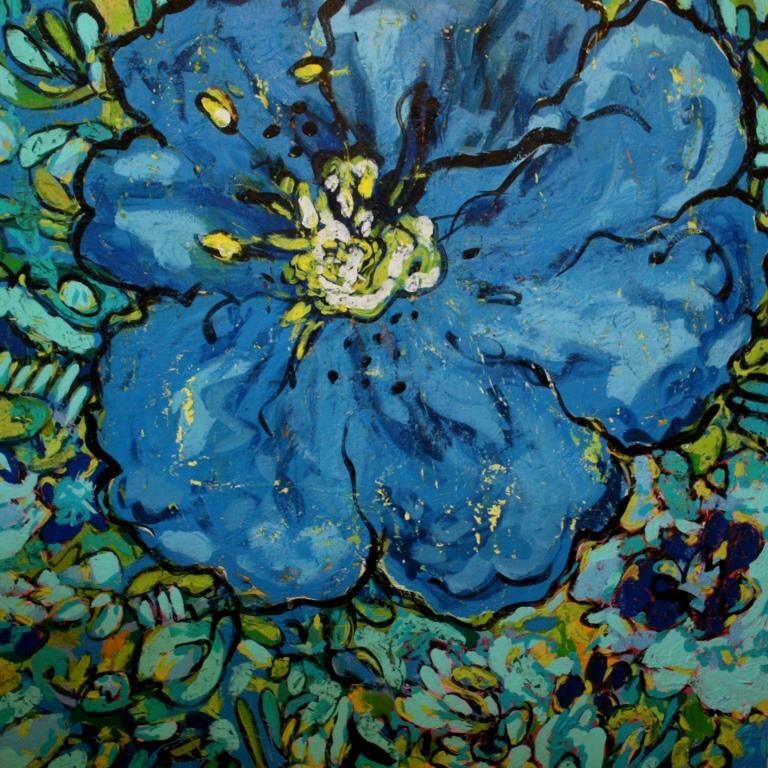 Just in time for Spring, Ivy Howard shares her new collection of beautiful floral paintings! 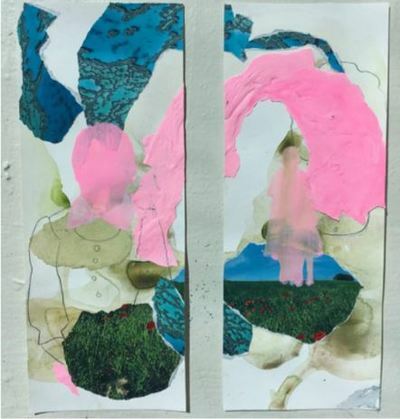 Ivy Howard's first solo exhibition is full of color and movement and is the perfect way to celebrate the beautiful weather brought to us by Spring! Join us for the opening on Thursday, May 21st, from 5:30 to 8pm! Exhibition will continue until June 5th. Bridal Registry now available! 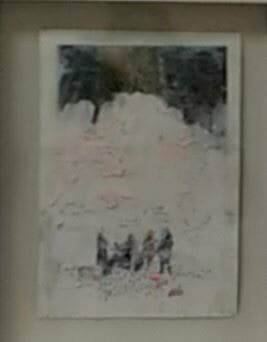 Call 514 489-4888 to set up a viewing of the many wonderful pieces of art that we have available. Our website is a only a sampling of what we have to offer. START THE YEAR OFF IN THE RIGHT DIRECTION! Art agent, Marina Cutler is now taking appointments for Private Artist Consultation Sessions. For the third year in a row, the month of January will be dedicated to Private Artist Consults. With limited space be sure to book as soon as possible. For fee and other information please contact Marina Cutler directly at info@AvenueArt.ca or call 514-867-3745. NOUVELLES EXCITANTES! / EXCITING NEWS! Jeff (Guv) Watson, sculptor from Longueuil, participated as a member of the delegation of Canada at the Salon Internationale 2008 of the Société Nationale des Beaux Arts at the Carrousel du Louvre in Paris from the 11th to the 14th December. 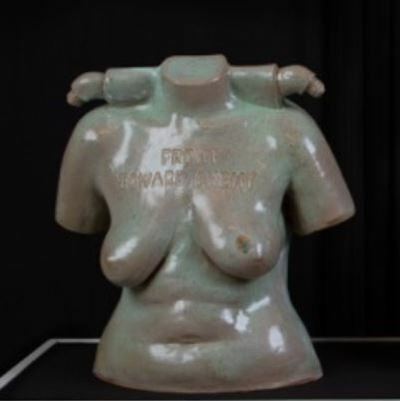 Brancusi, Maillol et Bourdelle, among others exhibited their works. The SNBA was begun in 1890 by such renowned artists as the sculptor Rodin and the painter Puvis de Chavannes. The SNBA has been recognized as a public organization since 1909 and receives support from the Ministry of Culture and the city of Paris. Each year since its creation the SNBA has organized a salon that highlights the best of international art. All forms of art are represented (abstract, figurative, geometric, naïve, etc) as well as all forms of sculpture (stone, wood, glass, metal). This salon is one of the final cultural events of the year in Paris and receives more that 8,000 visitors, including 4,000 at the opening. Jeff (Guv) Watson, sculpteur de Longueuil, a participé comme membre de la délégation du Canada au Salon 2008 de la Société Nationale des Beaux Arts (SNBA) au Carrousel du Louvre le 11 au 14 décembre. La SNBA est née en 1890 sous l'impulsion d'artistes de renom comme le sculpteur RODIN. Reconnue d'utilité publique en 1909, elle reçoit aujourd'hui le soutien du Ministère de la Culture, et de la ville de Paris. Chaque année depuis sa création, la SNBA organise un salon présentant le meilleur de l'art International. Toutes les tendances picturales y sont présentées (abstrait, figuratif, géométrique, naïf, etc.) ainsi que la sculpture sous toutes ces formes (bois, verre, métal, pierre). Ce salon est également l'un des derniers rendez vous culturel de l'année et reçoit pas moins de 8000 visiteurs, dont 4000 le soir du vernissage. Brancusi, Maillol et Bourdelle entre autres ont exposés leurs oeuvres. Allow Avenue Art to help you select the perfect gift of art or create a beautiful Avenue Art Gift Certificate for your special someone. Featuring Pierre Lessard, Laura Denhertog and Peter Colbert. Artist- Pierre Lessard will be present. The Opening Night Preview, from 6:00-10:00 pm, is the launch of the Expo Art and a benefit for the Alzheimer Society of Canada. Guests enjoy socializing over cocktails and hors d'oeuvres, and a chance to preview and purchase works of art before the Expo Art opens to the public. A highlight is the opportunity to meet some of today's leading artists whose work is featured at the Expo. The Opening Night Preview is on Thursday, October 23, 2008 from 6:00 to 10:00pm. Guests enjoy socializing over cocktails and hors d’oeuvres and the opportunity to preview and purchase works of art before the Expo opens to the public. Ron Simpkins passes away too young! It is with great sadness that I share the news with the Avenue Art community that one of our artists, Ron Simpkins has passed away. His quirky personality and our hours of art talk will be missing in my life. We spent many hours over the past 8 years sharing a coffee and chatting about where the market had been and were it was going…..we now know that whatever the direction it takes it will be missing an amazing artist. I will do my best to keep your memory alive! New Artist at Avenue Art Gallery! 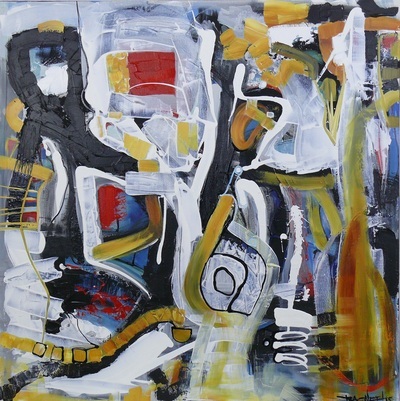 Avenue Art is proud to welcome abstract artist Erin Crowley! 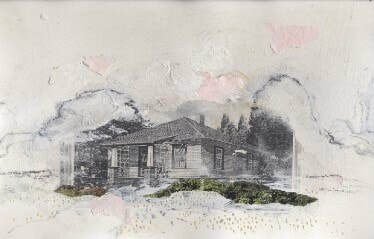 Avenue Art is happy to announce a new artist at the gallery, Erin Crowley! Stay tuned for more work samples and show information! 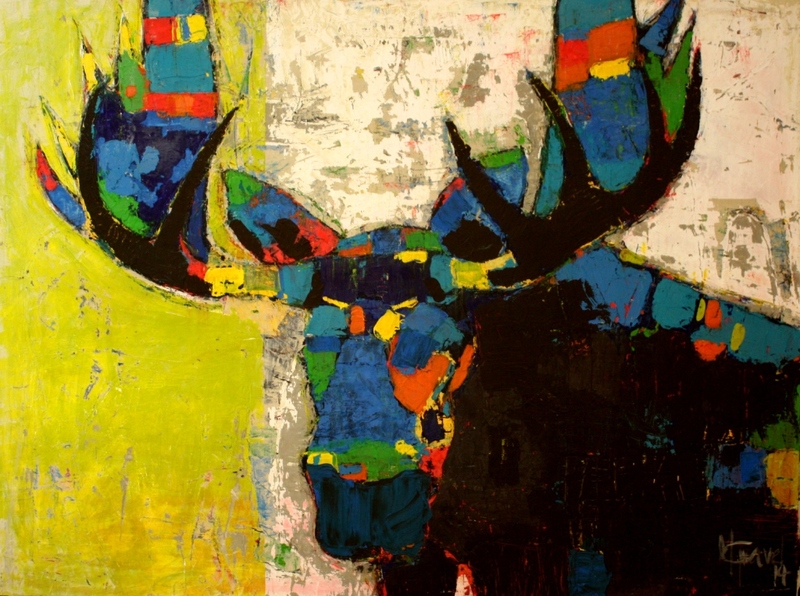 Award winning artist Peter Colbert joins Avenue Art Montreal. Peter is quickly becoming known for his Canadian landscape paintings, but also stays fresh by doing florals, abstract and figurative studies. His work can be recognized by his impressionistic imagery, bold strokes and striking use of color. 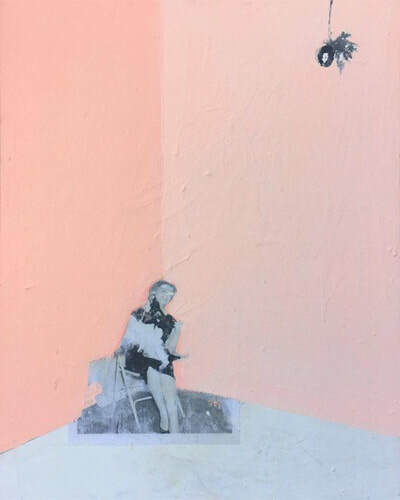 Avenue Art gallery is please to announce that emerging artist Ivy Howard has joined the Avenue Art group after a sellout feature in the June Spring Exhibition. The 2008 Cento Miglia is back for its second edition. Last year, we raised over $315,000 in support of the Montreal Children's Hospital Foundation, the Sainte-Justine Hospital Foundation and the charitable endeavors of the FCCI. This year, the 2008 Cento Miglia promises to be bigger and better starting with a stylish launch party and other exciting events leading to Rally day. Get ready to hit the road again for what is guaranteed to be an exceptional rally. 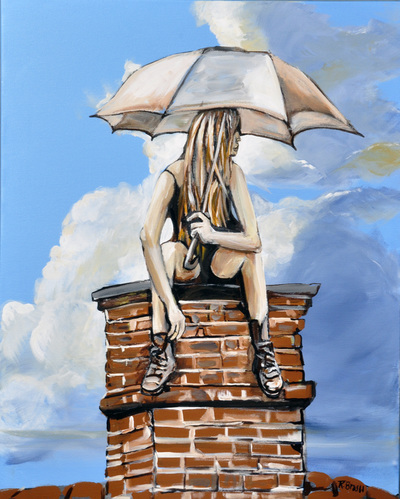 Avenue Art is pleased to announce the addition of Canadian artist Heather Haynes. 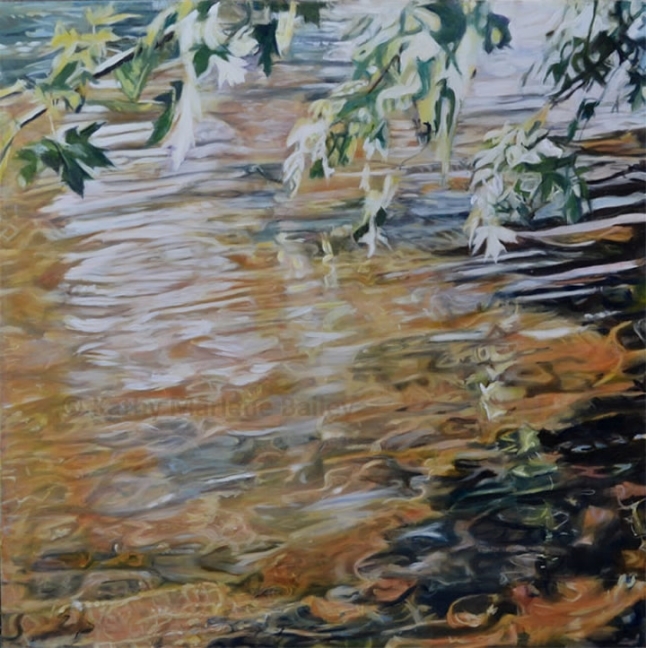 HEATHER HAYNES describes herself as a contemporary folk impressionist. Her unique style draws inspiration from nature and everyday objects. The paintings have a loose, stylized feel infused with the intriguing sense of a timeless peace. In life as in her art Haynes is at heart a happy fatalist. What happens is meant to happen, she says. Painting is about taking chances and trusting your instincts; you shouldn't think too much. This year we invite the viewers to "Spring Fling" featuring a collection of Flora and landscapes in a multitude of textures and surfaces. Included in this year's exhibItion are two emerging guest artists, IVY HOWARD and HOMEIRA MORTAZAVI. "Fields of Praise" April 17th - May 2nd. Interview with contemporary artist, Denis Larouche. 1. What was it that made you want to be an artist? Oh, my! How do I explain this? I have always had a taste for artistic expression, especially model making, even as a child. But in the small towns where I grew up there were few opportunities for exposure to visual arts. It was when my family moved to Ottawa and I took to visiting the National Gallery of Canada that I really discovered painting. 2 How would you describe your painting style and your paintings? Over the years, I have experimented with several styles of artistic expression. Prior to studying at the Ontario College of Art & Design (O C A D) in Toronto I was fascinated with the Masters of the Baroque period, especially Caravaggio and his wonderful treatment of the human figure and drapery (I may yet return to figure painting, but with a more contemporary twist). While in art school in Toronto, I was introduced to various concepts such as texture in painting, or the type of colour fragmentation developed by the Impressionists. I went from Baroque painting, to Impressionism, to Post-Impressionism. I spent several years painting outside, sur le motif, until I decided to develop my own imagery. 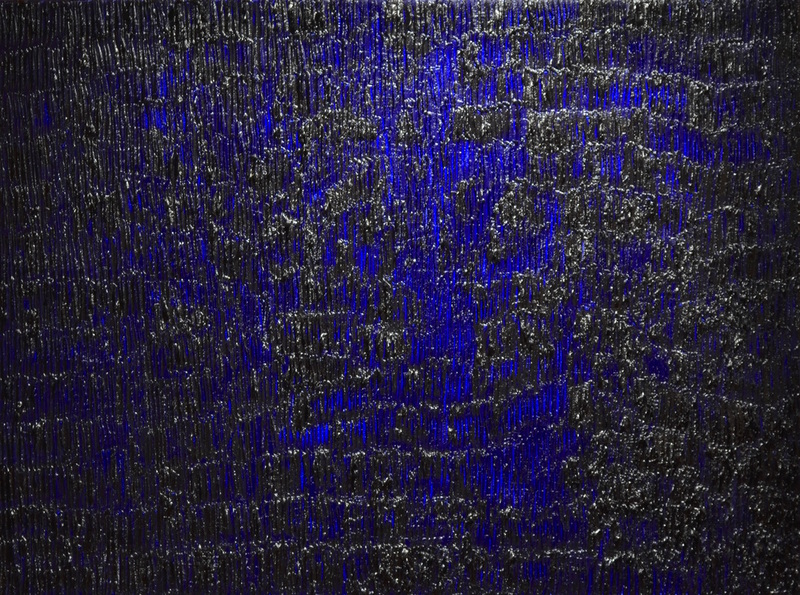 I am not exactly sure how I would define what I do at the moment, or what label I would put on it, but it certainly revolves around the exploration of colour and texture. As these considerations have taken much place in my paintings, the relative importance of the subject matter itself has diminished. This has led to a more stylized imagery where the treatment of open space becomes the real focus. The subject itself becomes a key leading into this space and the interpretation of its content. I was once talking with a musician friend and we realized that both our crafts had much in common. Both deal with the combination and organization of essentially abstract elements, be they notes or colours, into larger fragments, parts of a whole. The result suggests sometimes clear images, sometimes a purely emotional, or intellectual response. 3 Your paintings have a mystique, serene quality about them. Is the subject really important to you, or is it the mood of the painting that fascinates you most? Perhaps a bit of both, but I would say that I do my best work when I get so involved in the action of painting that everything else disappears. Led by a drive to create a particular image – or series of images - painting becomes an instinctive act of will and creation. It does not always happen that way but it is wonderful when it does. I suppose I am searching for serenity through painting. In that respect, the water, trees, boats and earth are certainly “grounding” elements. But as I said, these elements only emphasize the space surrounding them and give it meaning. A boat tells you that the surface below is most likely water and the space above is sky, once established, this space can become yellow, green, orange, anything. 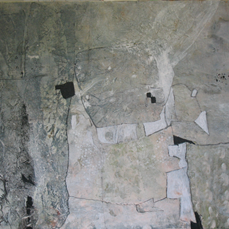 Its treatment becomes a search in itself, obeying laws and a logic that exist only within the painting. If I can achieve balance, equilibrium, between the various components of the composition within the painting then I have achieved my goal. 4 What artists have influenced you, and how? I would name three: Michelangelo Merisi (Caravaggio), Claude Monet, and Tom Hopkins. Caravaggio is the one who brought me to the world of painting. His paintings fascinated me to the point of taking me to art college. Monet would be no surprise, he influenced so many artists in the 20th century. Through him I discovered the power of colour, either opaque or transparent and the value of light. Tom Hopkins is the artist who made me understand texture and the value of simplicity in a composition, that one can create a very powerful image with only a few, well chosen elements. 5 What other interests do you have (besides painting)? I love the work I do as a model maker. My clients are mostly museums or historic sites, for which I fabricate scale models, mannequins, artefact replicas, etc… I recently produced a large diorama (3-D environment) for the Canadian Museum of Nature. I also like to play hockey (goaltender), cycle and cross country sky. As a goalie and model maker, I designed and fabricated my own goalie mask. I enjoy good wines and good books too, Mozart operas and Cecilia Bartoli’s singing. 6 How do you keep yourself motivated to paint? Not really a problem. My work is divided between contracts I do for clients and painting I do between contracts. So, whenever I finish a contract, I’m always excited to return to painting, hoping I will have a few months to work on several canvases. Eventually, a new contract comes along and that’s exciting too because of the new challenges it brings. There is never a routine. Of course, there is little job security in the art profession, but one must accept that. On the other hand, I don’t think I could remain in an office week after week, year after year. But it’s a choice you have to make. 7 How have you handled the business side of being an artist? It comes with the territory when you are self-employed. You have to present your work to galleries to find one or two that will accept to represent you and that is definitely “business”. You have to negotiate terms, organize exhibitions and transport paintings to and from exhibition sites. Working on contracts for my clients, I had to learn to prepare estimates, anticipate difficulties and how long the work will take. I have to take care of all the paperwork and so on. I must admit applying the same procedures to a career as a painter is not easy, but there are similarities. 8 Where do you see yourself in 10 years? Ask me again in ten years. But it would be nice to concentrate on just painting. 9. Can you tell us about the latest series that you are working on right now? I don’t much like to talk about ongoing or future projects, except in the broadest sense, as these tend to change along the way. I am thinking about a few more boat paintings and I am also doing some sketches for a possible series of figures. That’s about as much as I’m willing to say at this point. 10. How much time do you dedicate to your painting? It comes and goes, depending on what I have on my agenda. As I said, between contracts I spend most of my time at my painting studio. This means that when I get painting, it’s full time for weeks, or months at a time. These are periods of intense work. 11. When you look at all the paintings you have produced, is there one that has a special meaning or place in your heart? There are several and as I produce more paintings, my favourite works tend change. But there are two or three that stand out for me. 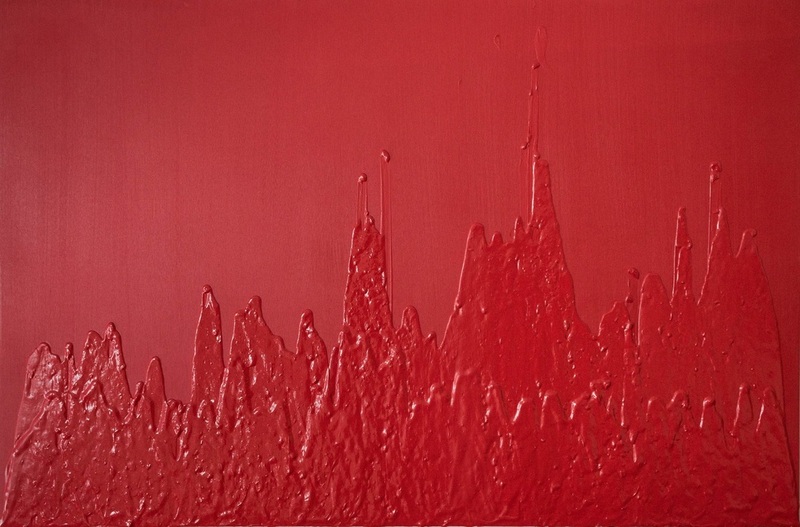 First, there is “La Traversée I” - 2004 (Crossing I). Then, I would say “Vers la mer” - 2003 (Out to Sea). Finally “Paysage en orange et vert no2” - 2005 (Landscape in Orange & Green no2). These are paintings that correspond to what I have been looking for in my work over the past years: simple, though solid compositions, with a well developed space and well resolved colour schemes. A teacher at O C A D often reminded us that “…every square inch of the composition should contributes to the whole…” In that respect, these paintings are certainly amongst my best resolved works. 12. What advice would you give to an artist just starting out? I could try to answer this myself, but a friend sent me the following a while ago and it summarizes it all so well. In 1903, the poet Rainer Maria Rilke responded by letter to a young man seeking his advice. Rilke eventually wrote ten letters now collectively known and much published as "Letters to a Young Poet." I think their content holds truth for all artists. During the month of January, Denis Larouche will be our "Featured Artist". We will be posting an interview with Denis and getting to know him a little more along with you. We will also feature one of his paintings in which Denis will discuss what it was that inspired this painting or the series. In the gallery we will have that painting on display along with the information about his upcoming solo show. This feature is part of a new series on promoting Canadian Artist locally and canadian wide. Topic #4 : How to buy art that reflects you and your personality. This session was created to help you discover what it is that inspires you in art and to help you learn what to look for when purchasing a painting. This is especially helpful to new homeowners or collectors who are looking to acquire their first piece of art. The session is approximately 2 hours. Fee is $30; this includes wine and an evening of discussion and mingling with others who have the same interest. This Session is only open to a limited number of people as it is a learning session. Don't be disappointed, reserve your spot! Please join us for our annual holiday exhibition of select gallery artists and invited guests. 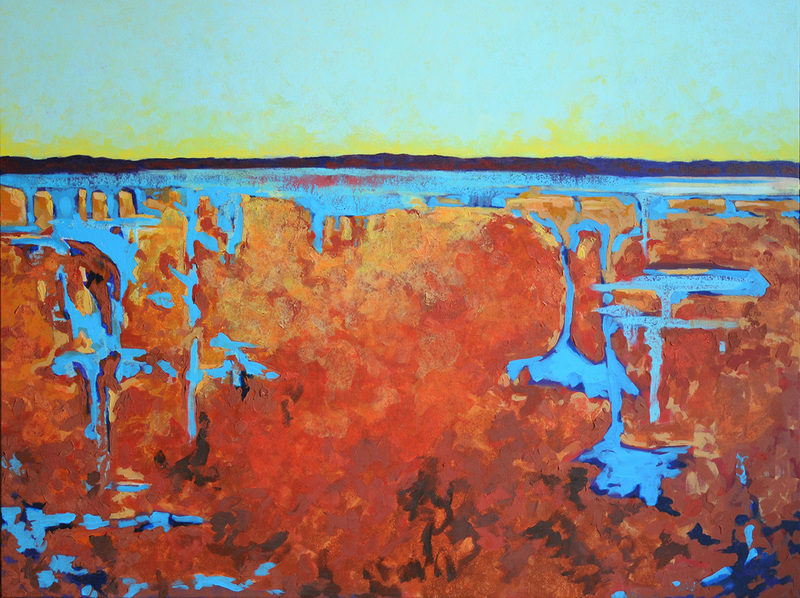 The colours of Canada"s varied Landscapes are what brings inspiration to this Fall exhibition. This exhibition highlights the autumn tapestry with true natural organic colors so rich, you will almost smell the crisp fall air. Support the Montreal Royal Victoria Hospital's Auxiliary by purchasing your holiday cards at Avenue Art gallery. Enjoy a variety of interpretions on Canadian Landscapes from summer to winter. 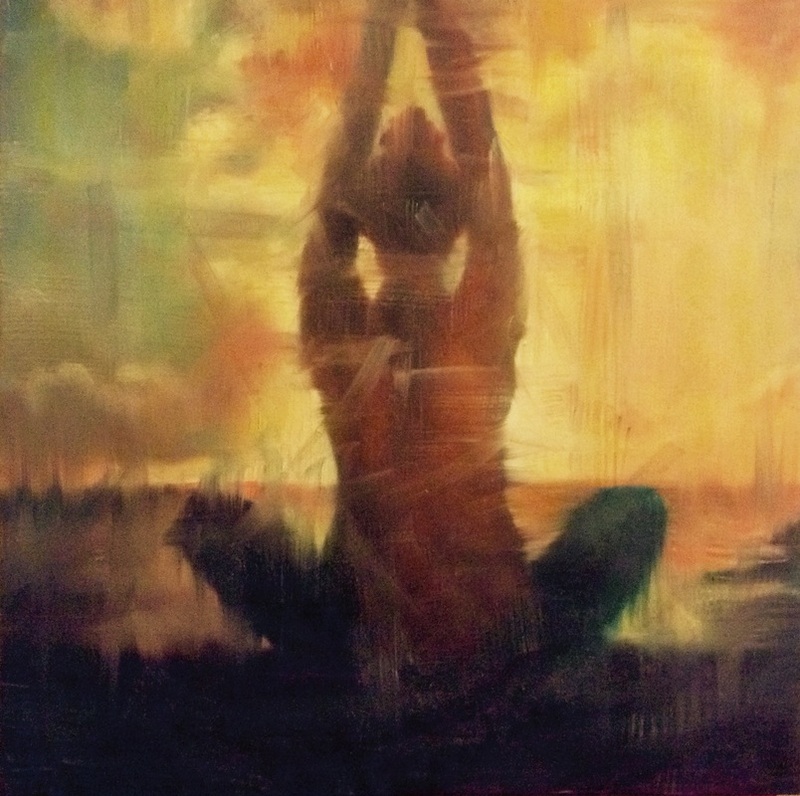 Join us for the much anticipated solo exhibition of RONDA DIAMOND. Diamond has been with Avenue Art gallery since its inception and has shown her love and dedication to her craft, this will prove evident in her upcoming exhibition. The quality and artistic expression of Diamonds latest works will certainly be a visual treat! To be included on the invitation list for the Cocktail/Vernissage please email info@avenueart.ca call 514-867-3745. Avenue Art gallery is pleased to annouced that Sharon Thompson, Pierre Pivet and Etienne Cote have all joined our Art Family. Avenue Art will be exhibiting the works of our new artists for the month of August. We hope you will take the time to pass and view their works and learn a little bit about each artist. To view exhibition images available for presale follow information link. Studio 10 location open May 31st!! Vous êtes invités à la soirée grande d'ouverture d'invitation seulement du STUDIO 10 KING. If you would like join us at the private Opening Exhibition Cocktail, "HORIZONS" BY ANTHONY HOBBS please call or email info@avenueart.ca with your name and mailing/emailin info. We will put your name on the list! The Art of Enjoying a great meal! Ricardo Larrivée, host of Ricardo and Friends, spoiled Marina Cutler and her friends during a recent filming of an upcoming show. Avenue Art gallery's Westmount location has relocated to Old Montreal. We are now located at 10 King street just above de la commune and the old port of Montreal. Avenue Art will be keeping their wonderful artists while including several new ones into the new larger location. One added feature to Avenue Art will be the inclusion of a Raul Rupert gallery as well as a photography exhibition space. With the Studio 10 King location you will find a fabulous Brulerie St.Denis where you will be able to sip an espresso while deciding which artist will adorn your walls, a framing facility and a one stop shop for printing needs, Imagetech Offset. We look forward to greeting you in our new location, Studio 10 King. Avenue Art is open all the time online. Celebrate the Holidays at Avenue Art. Saturday December 16th Avenue Art invites you to drop by for a glass of Holiday Cheer (Quebec's own Pinnacle Iced Cider) and enjoy the Wonders of Montreal's Local Artist! You never know what artist may drop in. AVENUE ART SUPPORTS GALA GASTRONOMIQUE "ON ICE"
Art Agent brings Montreal Artists to Vegas! Art Agent and Gallery owner Marina Cutler finds her way into the homes of some of the World’s top Comedians! Saturday November 18th at Caesars Palace in Las Vegas, the stars came out for an evening of laughter and entertained the crowds at HBO’s Comic Relief Comedy Show, which was a benefit for victims of Hurricane Katrina. After the show the stars headed home with a well deserved thank you basket of unique and trendy items (Swag) including Artwork by Avenue Art gallery’s artists. Only the best for the HBO’s Comic Relief Comedy Show Co-hosts Billy Crystal, Whoopi Goldberg and Robin Williams, to name a few and the best they received with Westmount’s Avenue Art Gallery’s artists, Ronda Diamond and Anthony Hobbs. Marina Cutler not only exhibits her artists works at her own Gallery Avenue Art, a second storey Westmount location bringing local attention to her artists but also spends a good part of her time making sure that outside of Montreal and Quebec people find out about the Wonders in the Art world that we have to offer. Looking to give someone a unique and thoughtful gift. An original piece of artwork is the perfect solution. Avenue Art carries a varied selection of works from Still life to Abstract. Our personal attention and service with your gift selection will make gift giving easy and enjoyable. If you are not certain what to purchase, a gift certificate starting at $100 is available. View our selections of the week. 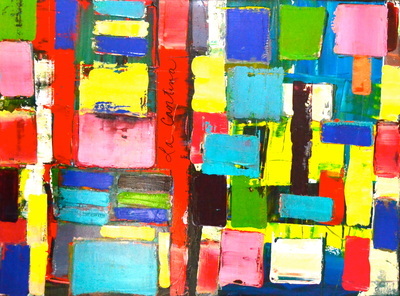 Capolongo is the recipient of numerous awards and honors, including the internationally coveted Elizabeth Greenshields grant – three times (one of only three dozen triple recipients since 1955), and consecutive first place awards for the national Canadian exhibition and competition Evidence of Things Unseen. Bruno Capolongo works in various genre and is continually developing his visual language. 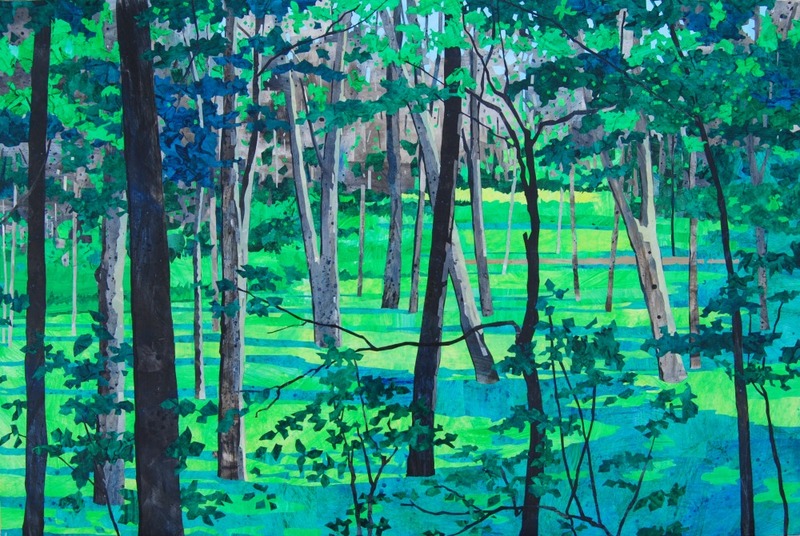 Inspired by summer is a exhibition of several artists works that have been created over the summer "Plein Air” or in studio after outdoor excursions. 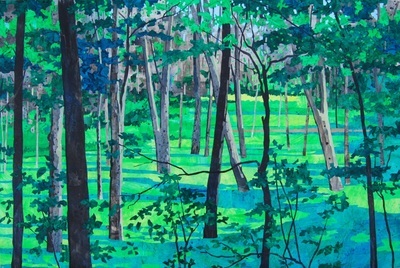 The inspiration of summer often brings new life to an artist as they move from an indoor studio setting to the great outdoors and connect with their subject up close. Our "Featured Artist" will be Valerie Butters. Known for her bold and vibrant floral, Butters walks in the path of landscape and brings a balance of nature and beauty to her canvas. Join Avenue Art gallery in the celebration of several new artists revealing their talent to the public for the first time. 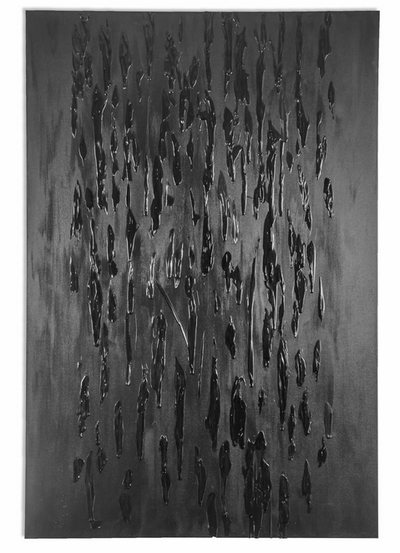 It is with great pleasure that Avenue Art hosts Ron Simpkins' 10th solo exhibition. Son of Henry Simpkins, late Canadian watercolor specialist, Simpkins understands to be truly liberated and free is to liberate the creative energy within. As a post impressionist painter of the 21st century he has encountered many challenges on his quest for the truth. Join us in celebrating his latest work. Join Avenue Art in Celebrating selected gallery artists in our Annual Spring Exhibition. Avenue Art is excited to announce its second location Avenue Art @Manitou Golf Club. Manitou is located in the prestigious Vacation Destination of Tremblant Quebec and is a 18 Hole Championship Short Course. BRUNO CAPOLONGO HAS JOINED AVENUE ART'S ROSTER OF ARTISTS. 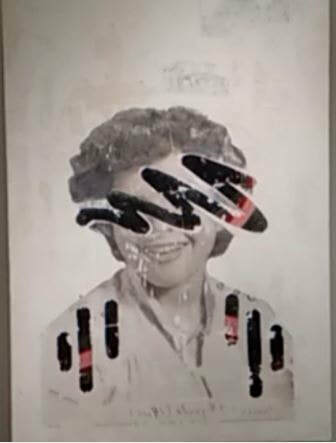 HIS HIGHLY ANTICIPATED WORK WILL BE PRESENT FOR OUR ANNUAL SPRING EXHIBITION. A SOLO EXHIBITION IS SCHEDULED FOR THE FALL. DATES TO FOLLOW. Linda was born in Vegreville , Alberta . She graduated from the Alberta College of Art in 1975. She received a B.F.A. in 1981 and a M.F.A. in 1988 from the University of Calgary . Public exhibitions include the Glenbow Museum , Edmonton Art Gallery , and Canadian Museum of Contemporary Photography and various artist-run galleries. The Edmonton Art Gallery, Alberta Culture and the C.M.C.P. have collected her work. In 1988, Linda left Calgary with her family to live on Vancouver Island . She taught at a post secondary photography school in Victoria and continued her creative exploration into photography, writting and painting from her rural studio near the city. In 1997, she moved to a small gulf island where she studied her art with little interruption. After six years of isolated island life, she returned to Alberta - happy to reconnect with the Alberta prairie, friends and Calgary 's art community. She now lives and works out of her Cochrane studio. Avenue Art gallery is pleased to announce that Ronda Diamond will be exhibiting her "Squares and Abstract" series during a traveling solo show at Victoria Hall in Westmount. Diamond's free spirit and cutting edge style makes her work both distinctive as well as creative all the while appealing to a mass audience because of her incredable sense of color and space. Avenue Art will be closed as of December 21st and Reopen January 25th. We will be available for Consultation as well as gallery appointments throughout this time. Have a safe and Happy Holiday and see you in the New Year. Small format art is available to be shipped in time for christmas. Last order date to be shipped within Canada is Friday December.16th. Please view the link to see some of our 16 x 20 and smaller. MONTREAL- October 27, 2005. 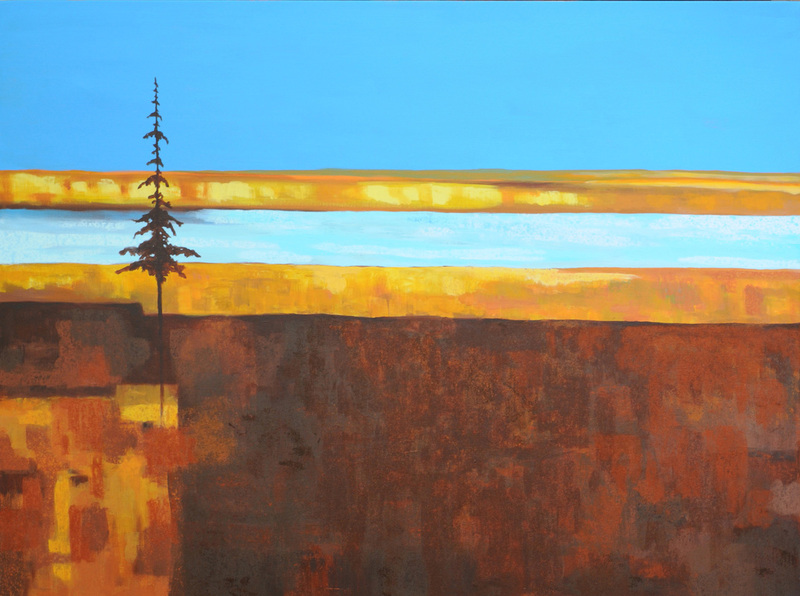 Avenue Art Gallery proudly announces a true blue Québec landscape artist and the Montreal debut of, Robert P. Roy with the solo exhibition, Flying Solo. With the use of his visually decadent and classical painting style, Robert P. Roy exhibits his love of air and water highlighting the beauty and seduction of the world around us through images of the natural world. Please join us in celebrating Robert P. Roy’s solo debut. Avenue Art gallery is located in the heart of Westmount’s Sherbrooke St shopping district and upstairs from Pronto Restaurant. Gallery hours are Tuesday through Friday 10:30-5:00 PM, and Saturdays by appointment by calling (514)867-3745. Closed Sundays & Mondays Private Office and House visits are available by appointment at no cost. Avenue Art Gallery is committed to promoting and nurturing, the achievement and evolution of emerging and mid-career artists. TO BE INCLUDED ON OUR MAILING LIST, EMAIL...info@avenueart.ca WITH YOUR FULL NAME AND MAILING ADDRESS. The gallery includes monthly exhibitions with at least two group shows a year. It is our primary focus to introduce the world to the talent of Canadian artists community by community. Our clients include private collectors, corporations, architects and interior designers. Wednesday, Thursday, Fridays 10:30 - 5:00 pm All other times by appointment. Please feel free to call and set up a private appointment. For the Love of the Land " Landscapes and Textures"
The opening evening was a great success, follow the link to see pictures of the evening. We hope you will have a chance to drop by and see some amazing artwork that just might belong in your home. A NEW AND EXCITING EXPERIENCE!!! The ANGEL BALL is The Natalie Ann Toussaint Angelopoulos Memorial Fund Foundation's First Annual Fund Raising Event with proceeds going entirely to benefit the Jewish General Hospital Foundation for the construction of the Comprehensive Cancer Centre, first of its kind in Quebec. Our Goal: To provide financial support and funding for research and patient care and ultimately assist in the fight to eradicate cancer as a life-threatening disease. The evening will include a SILENT AUCTION with amazing gifts to bid on and KEYS to buy for a chance to win awesome prizes. The following artists will be participating in the Angel Vernissage. This is an exhibition of new works by selected gallery artists. Avenue Art is pleased to being show the works of John Mlacak and Barbara Farren in our June "Double Feature" Exhibition. 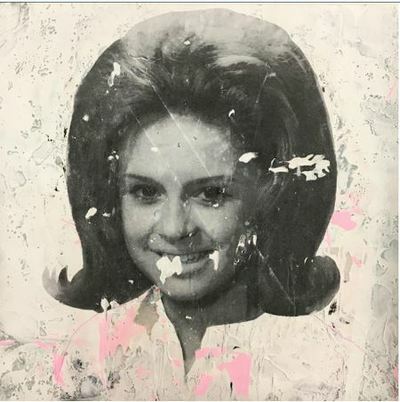 Avenue Art's Marina Cutler was recently interviewed on the CH Art program, Arte Mondo. It aired July 24th at 11:00. A new look into Montreal's Italian art scene. Hosts Piero Facchin & Anita Aloisio feature interesting segments about film, architecture and design. Sunday 11:00 a.m. Language: Italian but interviews take place in english and french as well. Traveling Solo Show "John Arcaro"
Avenue's Young inspirational artist "John Arcaro" is once again proving his dedication and professionalism with his 3rd third solo show which will be held at the Leonardo Da Vinci Centre on Thursday May 26 to Sunday May 29 2005, The address is 8370 Boul. Lacordaire St.Leonard. Arcaro's paintings have raised funds for various organizations and foundations, such as Centraide-United Way, the Canadian Cancer Society, La Caza, an organization assists the poor and the homeless. John's generosity has also reached several schools. We are very proud of his continued success! Denis Larouche is an artists from Hull, Quebec. We are happy to have his latest series of Boats in the gallery and we will be announcing a date very soon for a solo show. Lise Cree is a local Montrealer and has graced the gallery with some spectacular florals to inspire the spring season. A must see. Linda Craddock has traveled the greatest distance to join the Avenue Art group. Coming from Alberta, Linda will be sharing some figurative works with some local Montreal connection. Everyone at Avenue Art wants to congratulate Valerie Butters on her recent achievement, graduating from the CAP program at the Saidye Bronfman Center in which she was the recipient of back to back scholarships. Avenue Art Gallery Sponsors Jazz Artists "Lorraine Klaasen"
Avenue Art Gallery is sponsoring this event with Impressionist Artist Kevin Jenne. Kevin will have a wonderful selection of his musical themed paintings on display in the Oscar Peterson Hall. Lorraine has one more Special Surprise Guest, but will not tell you ... WHO!!! It's not her mother . You have to be there to see for yourself. 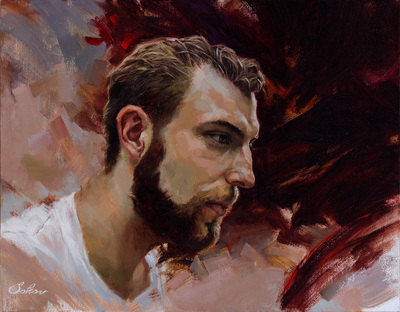 Avenue Art gallery is proud to announce Bruno Capolongo's Debut Solo exhibiton at Montreal’s Avenue Art Gallery. The show will feature the Contemporary Still-Life and Contemporary Landscapes series’. Exhibition December 1- January 15th. Thursday, September 2010, 6 pm. An evening of wine appreciation and creative stimulation. Join art critic and editor of Vies des Art Magazine (engish edition) Dorota Kosinska for an intimate and interactive art experience that will help to cultivate your artistic eye and engage with Avenue Art's contemporary art. Then, appreciate wines and sample some of Studio 10 Kings exceptional gourmet tapas favorites in a special VIP setting with live entertainment and exceptional ambiance. Limited reservations available at $85 per guest. Please contact Colleen at info@AvenueArt.ca, or call 514. 489.4888 for availability. 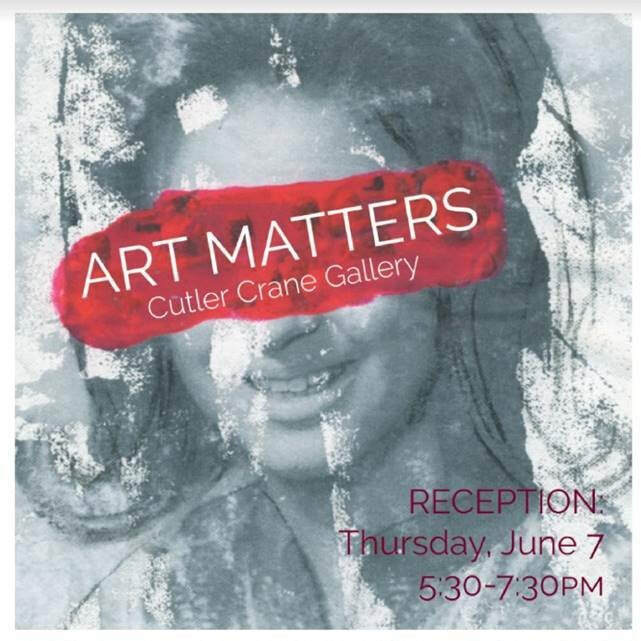 On behalf of Marina Cutler and Avenue Art, we thank everyone for your involvement and hope you will be onboard as a sponsors, participants or guests next year as we work toward building a stronger community awareness of Canadian visual arts.